Scientists are analyzing the speedy interstellar asteroid — the first of its kind — to figure out how it arrived. Late last year scientists spotted a totally unexpected visitor speeding its way through our Solar System. A long, cigar-shaped object had flown through our little celestial neighborhood at a breakneck pace and flung itself around the sun before heading back out into deep space. Eventually determined to be an asteroid, the object was named Oumuamua which means “scout,” and some in the scientific community wondered if it might actually be an alien probe surveying our Solar System in search of life. The alien theory was eventually brushed off after researchers listening to the object found it was dead silent, but many questions about its origins still remained. Now, after a few months of crunching the data, scientists believe they may have an idea of where the asteroid was born, and it’s a whole lot different than what we’re used to. In a paper published in the journal Monthly Notices of the Royal Astronomical Society, researchers led by Dr Alan Jackson of the Centre for Planetary Sciences at the University of Toronto Scarborough suggest that Oumuamua is the product of a binary star system. Unlike our local star system, a binary star system features a pair of stars which orbit around a central point, constantly pulling on each other as they rotate. The actual origin of Oumuamua is still totally unknown, but the team believes a binary star system is responsible for its creation due to simulations that demonstrate how effective that type of star system is at ejecting rocks at high speeds. 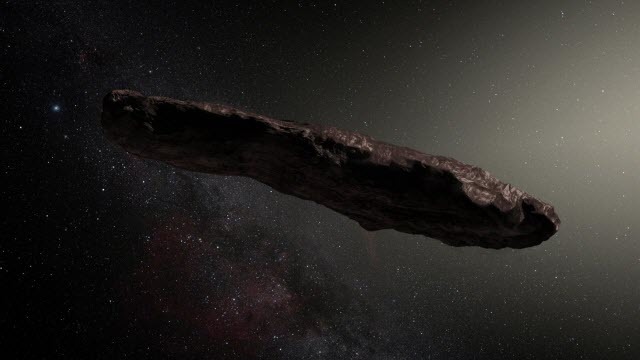 There was plenty of early speculation as to what type of body Oumuamua actually is, especially in the hours and days immediately following its detection. It was declared to be an asteroid, then a comet, and then an asteroid once again, but scientists seem to now have settled on it being a rocky body. Because of that, and because binary star systems would produce lots and lots of asteroids of varying shapes, chances are it was born in the grip of two stars, or at least that’s the best guess thus far. Next articleYellowstone volcano erupt: What will happen if Yellowstone explodes?